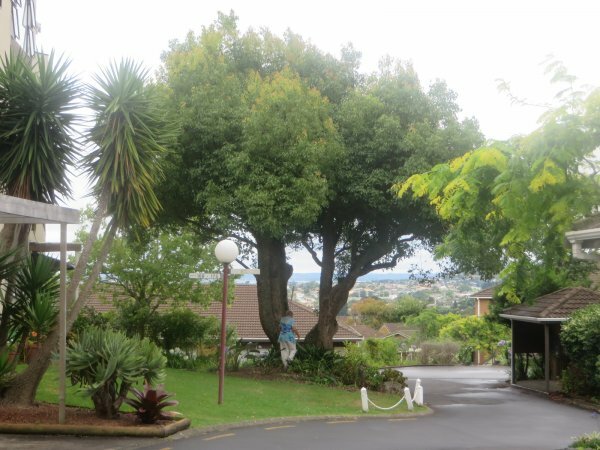 A large camphor laurel planted in a courtyard space within the Hillsborough Heights retirement village complex, and providing great visual amenity to RNZIH members Mervyn and Catherine Hines who live adjacent to the tree (Cliffin, P.F, 2016). Compared to the 3 - storey building alongside. 600 @ 1.4m above ground, around the 4 trunks. 18 Jul 2016 Cliffin, P.F. 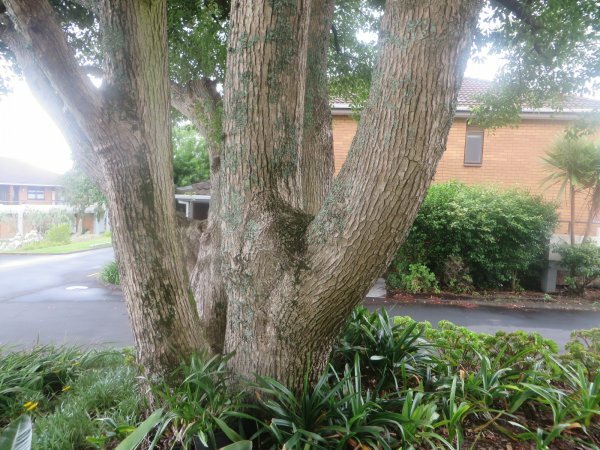 Planted in a courtyard space within the Hillsborough Heights retirement village complex, and providing great visual amenity to the residents.